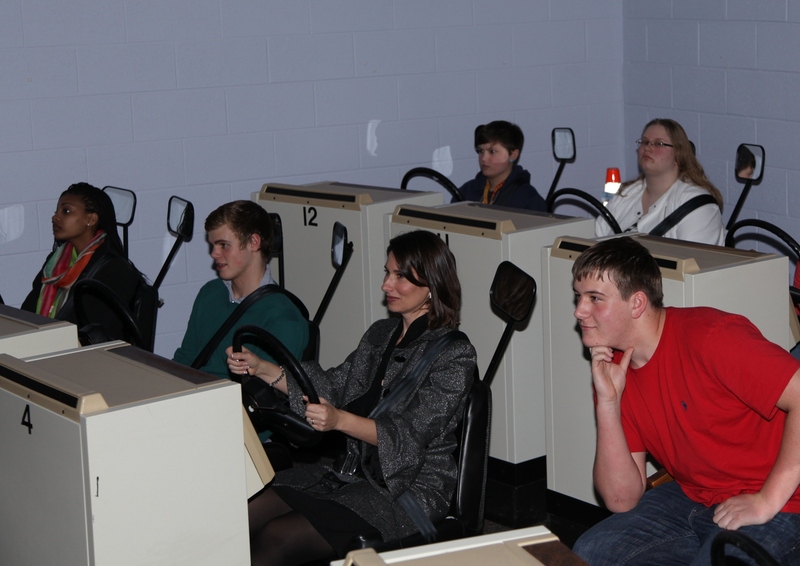 On Tuesday, I visited a driver’s education class at Washington-Lee High School in Arlington, Virginia. I had a great conversation with the students about driving and safety and about the NTSB’s growing concern about distracted driving. I told the class about the accidents the NTSB has investigated over the past ten years where distraction — talking on a phone, texting, and being diverted by a laptop — had led to fatal accidents. The students asked a lot of good questions about our investigations, about how our investigators follow clues, and about our role in improving safety. In turn, I asked them several questions. I was impressed by the thoughtfulness of this group of young people and by what they knew about driving and safety. Yet, the response that really made me pause was when I asked the students whether they had been in a car as a passenger with a parent or other adult who was texting or talking on a cell phone. Every head nodded “yes” vigorously. The forum is free, open to the public, and will be streamed live via webcast. 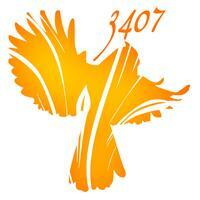 You can find more information at this website. 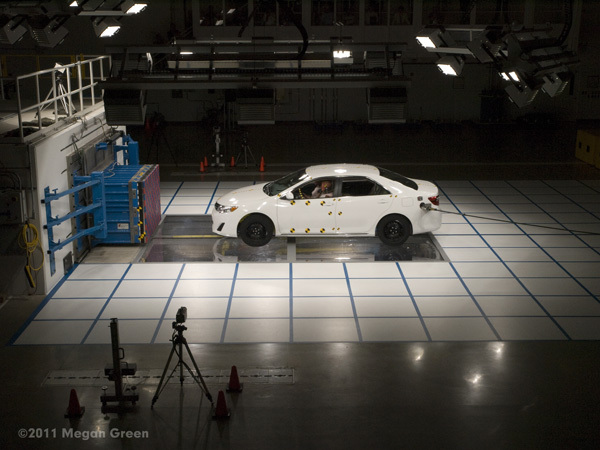 This week representatives from Toyota — Chuck Gulash, Jim Foley, and Kevin Ro — briefed NTSB Board members and staff about the work being done by Toyota’s Collaborative Safety Research Center, or CSRC. The CSRC is teaming up with leading North American institutions on $50 million of safety research on distraction as well as the safety of vulnerable populations, including young passengers, newly licensed teens, and aging drivers. In one project, CSRC is working with Dr. Linda Angell and Dr. Justin Owen of the Virginia Tech Transportation Institute (VTTI) to better understand driver distraction. Dr. Angell will be participating at the NTSB’s March 27 Attentive Driving — Countermeasures for Distraction forum and will talk about her experience with vehicle technology countermeasures. In a project with The Children’s Hospital of Philadelphia’s Center for Injury Research and Prevention, the CSRC research is focused on improving crash data collection. This, in turn, will help in designing better restraints and other protections for our most vulnerable passengers. Dr. Kristy Arbogast of The Children’s Hospital of Philadelphia spoke at our 2010 Child Passenger Safety forum and stressed the importance of conducting public health surveillance on children involved in crashes to understand emerging trends and problems. The CSRC is also funding projects on aging drivers, which NTSB addressed in late 2010 at its forum on Safety, Mobility, and Aging Drivers. One of these projects is also with VTTI and is looking at how to improve the driving performance of older drivers by evaluating countermeasures to address our narrowing field of vision as we age. The CSRC’s research is non-proprietary and is being shared across the transportation community and with the public on CSRC’s website. 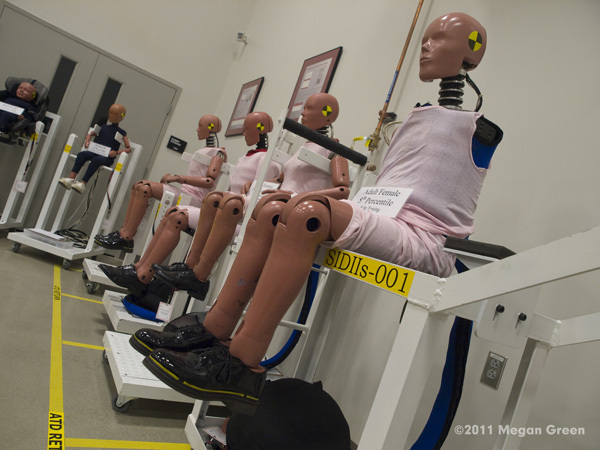 Toyota has funded and implemented an outstanding model to improve automobile safety. We look forward to following their work in the coming years. Last week brought news that the trend in teen deaths due to automobile accidents – after eight years of declining numbers – has suddenly begun moving in the wrong direction. Data from the Governors Highway Safety Association show that for the first six months of 2011, highway deaths among 16 and 17-year-olds increased. Although the increases were slight, the end result is that more teen drivers are losing their lives on our nation’s roads and highways – in such a case, any increase is unacceptable. Why the sudden uptick in teen highway deaths – fatigue, decreased seatbelt use, or perhaps distraction from cell phones and portable electronic devices? Unfortunately, it’s too early to know for sure; it could be any of these factors, or even a combination of them. But we don’t have to wait on additional data to be crunched to take action. 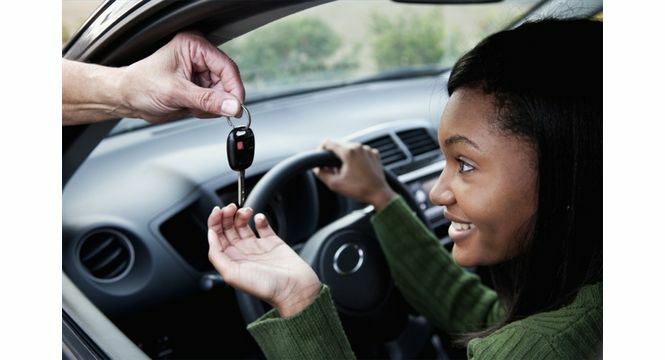 The NTSB has made a number of recommendations that, if enacted, would increase safety for teen drivers: comprehensive graduated driver licensing programs; limitations on hours of driving and the number of passengers for new drivers; and, bans on the use of wireless communications devices for those just learning to drive. Reversing this trend, however, will take much more than simply changing the laws. We do need strong education, strong legislation, and strong enforcement. But in addition, and perhaps just as importantly, we need positive peer pressure to model good driving behavior. When teens commit themselves collectively to safer driving habits, the impact is as immediate as it is sustained. The power is in their hands to reverse the trend in teen driving deaths, every time they get behind the wheel. High Visibility on Helicopter Safety – What’s All the Buzz? Romantic and evocative images of helicopter culture aside, I’m glad to report that from a safety perspective, the rotocraft industry and its operators are making great progress. 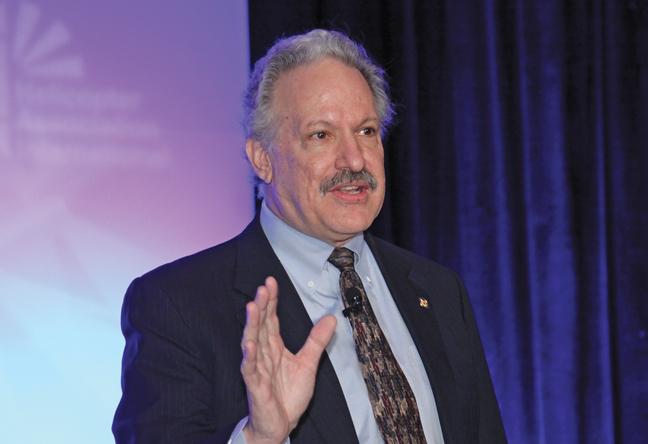 Changing safety culture doesn’t happen overnight or in a vacuum. It takes time, effort, and a lot of nurturing. This underscores the NTSB’s role in making important connections with industry to raise the bar in preventing accidents and saving lives…before a tragic event happens. Helicopter Association International’s HELI-EXPO hosted over 18,000 attendees and provided access to the largest cross-section of the helicopter industry. Last Saturday morning, over 350 people attended the Safety Symposium and my presentation on combating helicopter operator fatigue – the first time this topic has been featured in that forum. It covered the risks associated with flying tired, recent helicopter accidents in which fatigue was a factor, and the NTSB’s safety recommendations that came out of fatigue-related investigations. After 20 years on the NTSB’s Most Wanted list, there’s a lot of information on fatigue to cover. Noise, vibration, and the culture of single-pilot, off-hour, on-demand operations, create specialized risks in helicopters. Fatigue can degrade every aspect of human capability, increasing safety risks in flight operations and making the use of effective strategies critical. The value of bringing this information right to the people who need to hear it cannot be underestimated. On behalf of the NTSB, I urged helicopter operators to adopt personal and industry safety strategies that could lead to one overarching goal…zero accidents. The Helicopter Tour Operators Committee also invited me to speak to them the following day and it provided the opportunity to highlight some of the NTSB’s key themes along with a warmly received invitation for tour operators to come talk to us and interact more with the agency. Any opportunity for increased dialogue will reap big dividends for everyone. The bottom line is that we want to see all transportation modes taking safety actions well before the NTSB has to investigate an accident and make recommendations. 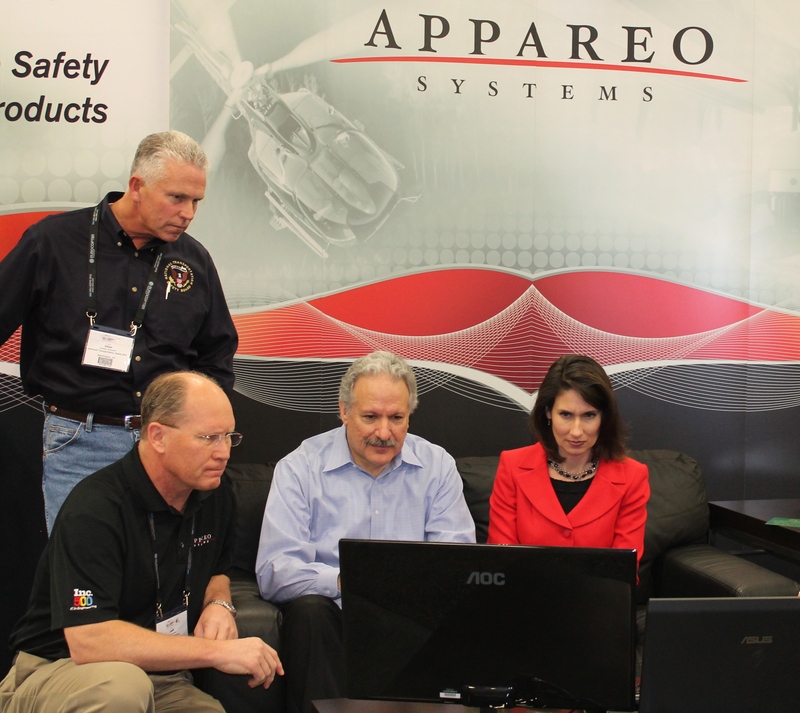 With Chairman Hersman’s keynote at HELI-EXPO, the NTSB’s exhibit on the EXPO floor, and my presentations, we are eagerly extending a helping hand to the rotocraft industry to support efforts to change its safety culture from the inside. Though more needs to be done in achieving the ultimate goal of zero accidents, fully embracing useful technologies, and truly accomplishing change throughout the industry, what we’ve seen so far amounts to real progress. Chairman Hersman, Member Mark Rosekind, and Senior Aviation Safety Investigator Clinton Johnson receiving a briefing from an official with Appareo Systems on the safety and training benefits of its flight recorders. This past weekend Member Mark Rosekind and I were in Dallas, Texas, for Heli-Expo 2012, the world’s largest helicopter trade show. My visit started with a keynote address to the members of Helicopter Association International (HAI). This was a great opportunity to highlight the good work the helicopter community has done to improve safety as well as to challenge them to do even more to move safety ahead with safety management systems, safety culture, and flight recorders. After my speech, we toured the exhibit hall and visited with manufacturers, suppliers, and service providers, and finished up at booth # 8536, which is the NTSB exhibit. At American Eurocopters’ exhibit, its helicopters featured onboard image recorders. American Eurocopters has committed to equipping all new AStars with these low-cost, lightweight systems. And at Appareo Systems, we learned more about the safety, training, and operational applications of its cockpit imaging and flight data monitoring device, the same device that is being put on the AStar helicopters. At the Aviation Specialties Unlimited (ASU) exhibit, we put on night vision goggles and saw for ourselves just how effective they can be in dark conditions. Talk about seeing is believing! Additionally, it was illuminating to see how interior lighting can affect the performance of the goggles. Finally, it was a pleasure to congratulate ASU President Mike Atwood in person for receiving one of the HAI Salute to Excellence Awards for his work introducing night vision technology and for his company’s work developing guidance and training. It was a great trip. I greatly appreciate these opportunities to meet with dedicated and passionate aviation professionals – people who are making a difference and improving safety every day. 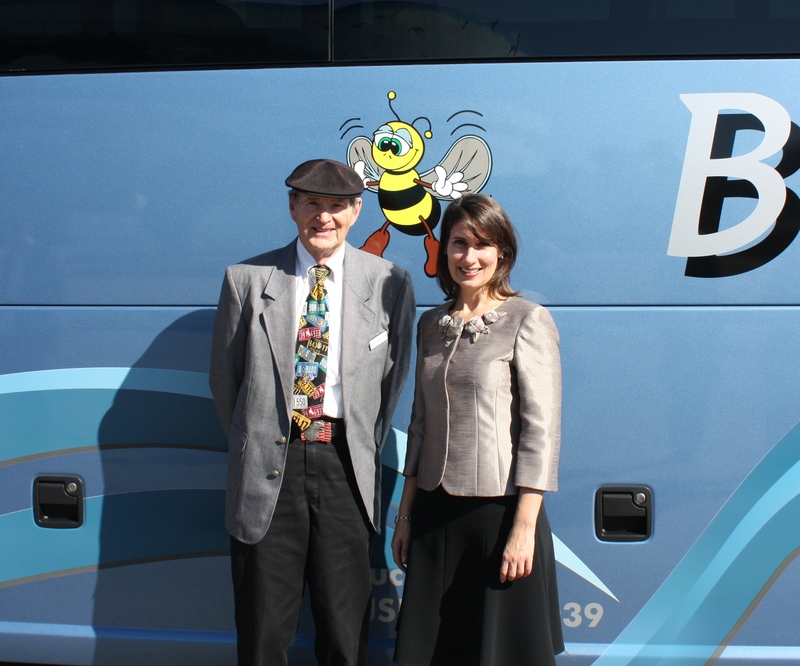 On Wednesday, I observed the latest in motorcoach safety aboard a new MCI 2012 J4500 model motorcoach, owned and operated by Bee Line Transportation of Tucson, Arizona. We rode from L.A. International Airport to Long Beach where I am meeting with bus industry leaders at the 2012 United Motorcoach Association’s (UMA) Expo. The bus was equipped with new safety features, many of which are not mandated, such as three-point restraints for passengers, fire detection and suppression systems, electronic stability control, automatic traction control, and a tire-pressure monitoring system. Our driver, Charles Griffith, (pictured above) demonstrated the qualities envisioned in UMA’s 2012 Expo theme: Year of the Motorcoach Professional. I salute Charles and all the manufacturers, suppliers, operators and drivers who work hard to safely transport 760 million passengers every year.